The Scott Safety ELSA range of breathing apparatus for emergency life-support has been purpose designed to be simple to use as well comfortable, robust and easy to maintain. These units actually outperform the latest EN standards with advanced features such as constant flow, positive- pressure demand systems and airline escape with durations of 10 to 15 minutes, with first- breath activation and a wide range of filters, trolleys and other accessories. 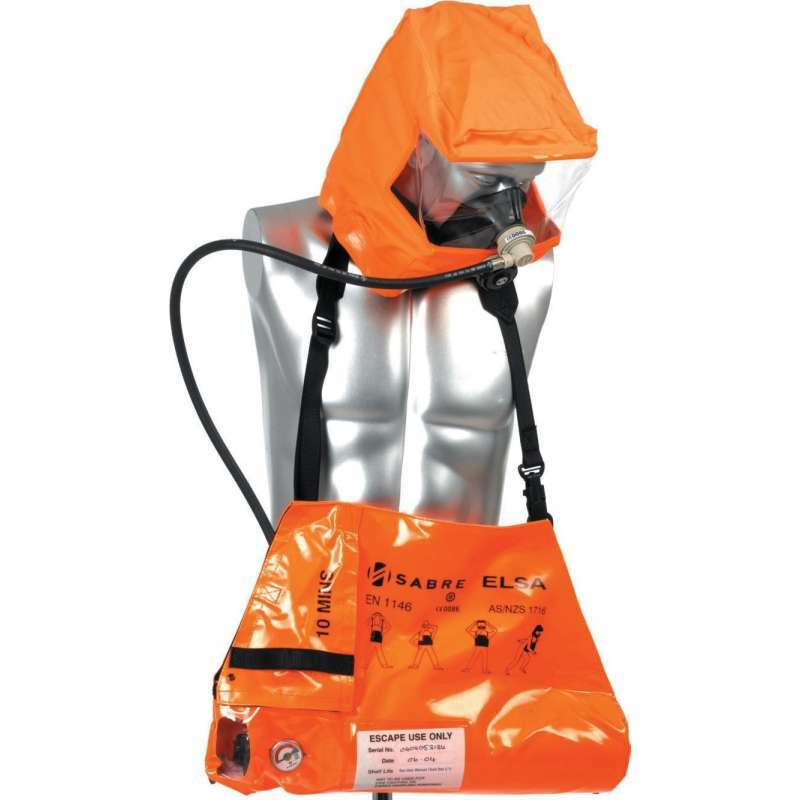 The ELSA (Emergency life support apparatus) hood is considered the world's leading constant- flow escape system designed for rapid escape from hazardous marine and industrial situations. These hood and cylinder units are designed to be quick and simple to use, robust and reliable and to conform with European standard EN1146. 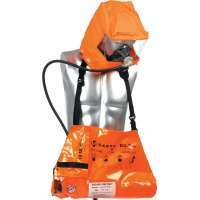 Available in 10 and 15 minutes configurations, they feature a unique cubic hood design, automatic activation, high- visibility or black anti- static carrying bag, corrosion- resistant Nickel plated components, and charging adapter for breathing air. Featuring a flat visor on three sides, giving excellent peripheral as well as forward visibility, elastomeric seal, ori- nasal mask, supply hose, activating strap attachment points, transparent window and adjustable carrying strap. The cylinder can be either 2 or 3 litre, 200- bar steel construction and the system comes with content indicator, quick release pin, activating strap, and combination cylinder valve and pressure reducer, along with a charging connector and whistle. An optional waistbelt is available and the inner mask prevents misting and the buildup of carbon dioxide.